Today's bonus project from The Spoonflower Handbook comes for our friend Kelly (Weaving Major on the site). 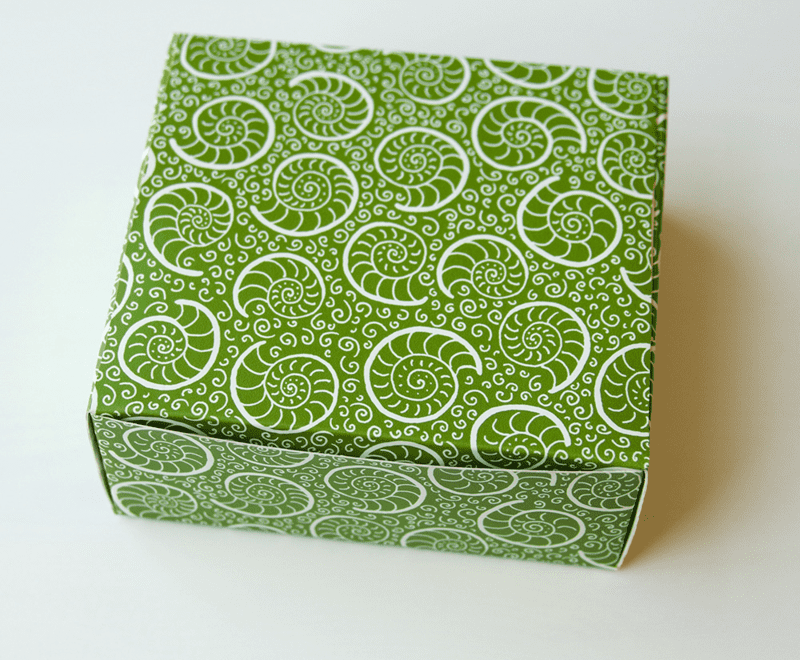 Take a peek at how she creates ammonite wallpaper, a small and large version, to cover custom cardboard boxes–perfect for organizing all your sewing notions and bits and bobs! I love star and spiral shapes, and I'm always fascinated that there are so many different examples of both in nature. Starfish, petoskey stones, flowers, and the cross-sections of apples all have star shapes, and spirals show up in everything from galaxies to swirling water to the ammonite fossils that inspired these wallpaper designs. The spirals I usually draw have all the lines the same distance apart, but when I was looking at a photo of ammonites one day, I noticed that as the spiral got larger, so did the space between the lines. That made me want to get out my markers and see how it looked to draw spirals that way. 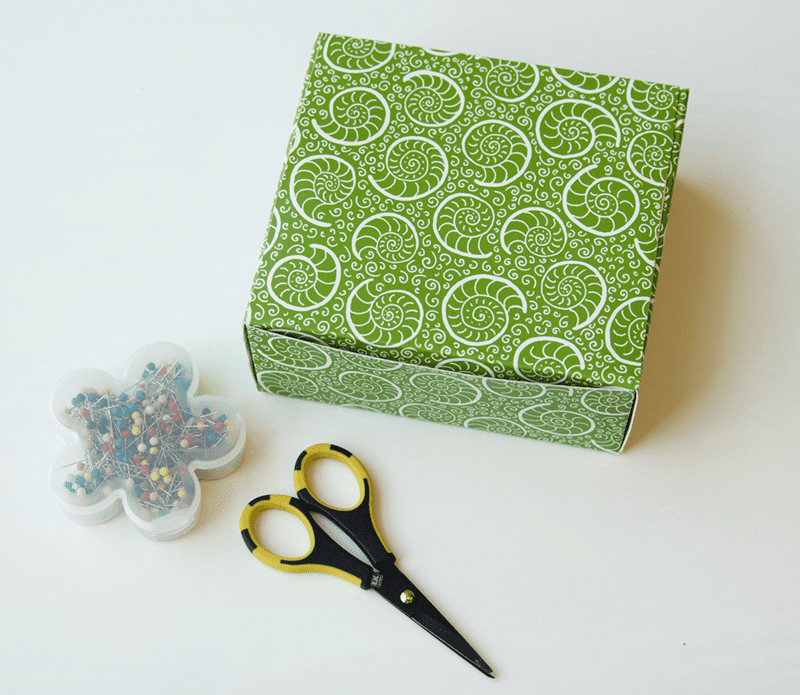 You can do so many fun things with this wallpaper design, including making this easy gift box. Before we get started, let's chat about wallpaper. Wallpaper is really designed to be hung on the wall and have the repeats match up exactly when the edges of the paper meet. When printing wallpaper, Spoonflower’s image processors will automatically resize your design to fit across 24 inches evenly. But that means if your design is only 11½ inches, Spoonflower has to shrink it all the way down to 6 inches to make it repeat evenly. Hence, think about the scale of your design before you start. Let’s crunch some more numbers to help: A repeat of wallpaper is 24 inches wide, so you will want to scan your artwork so that it fits evenly across 24 inches: 12 inches (2 times), or 6 inches (4 times), or 3 inches (8 times), and so on. When you scan, use the skills you learned in Chapter 5 to create a repeat that will fit into this 24-inch width evenly. 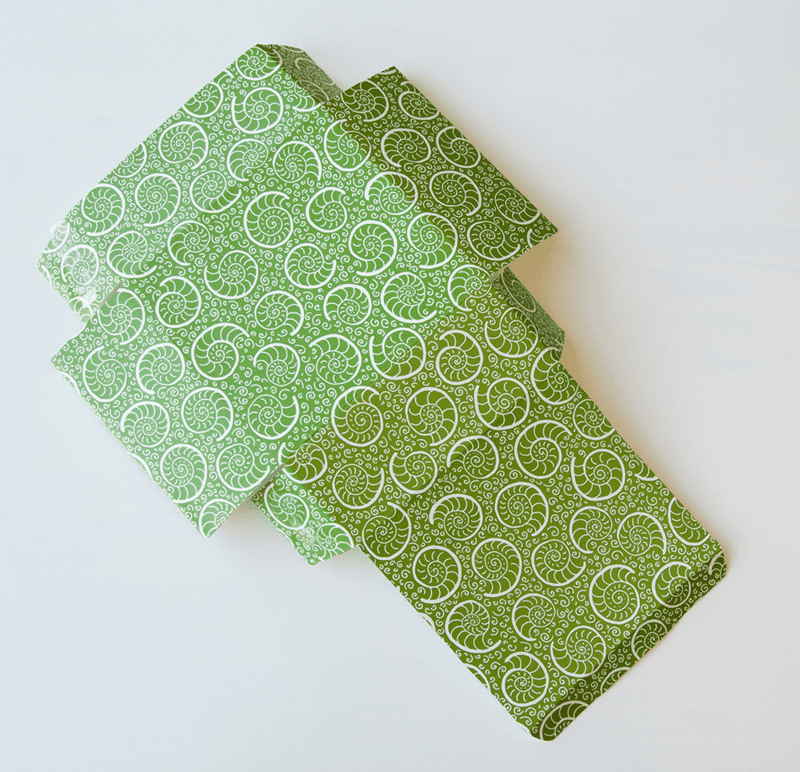 For more information on decoding wallpaper–take a look at this Spoonflower Bootcamp post. 1. Draw and scan artwork. The original artwork for this design was traced onto tracing paper with black ink to make a really clean original that is easy to manipulate later. Create the original artwork, and scan according to the settings you calculated for your repeat. 2. Clean up and adjust artwork. If you are making a seamless repeat, there is a tool in Photoshop that can help with lining up elements that overlap the edges of the design tile. Select the entire image and then choose from the menus Filter -> Other -> Offset. The offset filter will basically slide your image from side-to-side or top-to-bottom and wrap it around the design tile. This is exactly what is done in this tutorial where you cut and rearranged the paper design, but this Photoshop filter does that process digitally. Offset the image by the number of pixels you choose. Then you can see where the edges meet and what you need to do to touch up the edges. 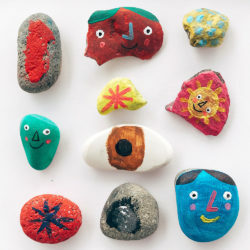 Or, you can add more designs to fill the space. 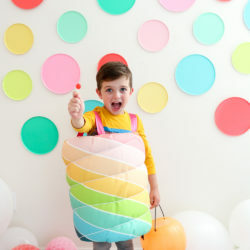 Depending on the design, you may want to offset and adjust each layer individually or combine or “flatten” all of the layers and work on them together. 3. Add a background layer. Add a new layer with Ctrl + shift + N (Windows) or Cmd + shift + N (Mac), fill it with white using the paint bucket tool, and drag it in the Layers Palette to be the bottom or background layer. For each layer (drawing and background), you will want to add a color. You can add an effect to each layer that overlays the entire layer with a color. Look for a menu item called “Layer Overlay” or “Color Overlay” or “Layer Effect.” In Photoshop, you can double-click the layer in the Layers Palette and a new palette will pop up with many options. Choose Color Overlay and then set the color for each layer. Everything in the layer will be changed to the color you select. 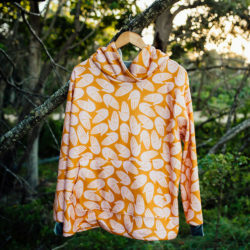 Save the file and upload it to Spoonflower. Choose a swatch of Smooth wallpaper. If there is printing on the inside of the box that you would like to cover (or you just want a pretty lining) paint the inside of the box first. Give it one or two coats of paint and let it dry thoroughly before moving on to the next step. 2. Trim wallpaper to size. Open the box out so that it lays flat. 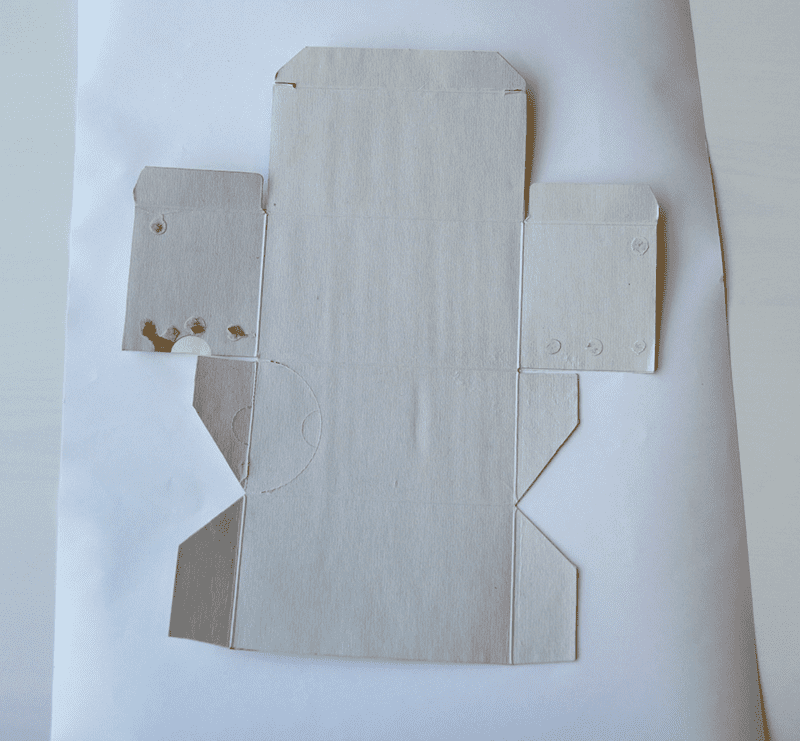 Place it on the unprinted side of the wallpaper and trace around the sides of the box. Trim just outside the pencil lines (1/4 inch) so that you have a little wiggle room. Clear your workspace so that neither the extra paper nor the box gets wet. Dip the piece of wallpaper into the basin of water and keep it there for no more than 15 seconds. (You’ll know it’s done when it relaxes and starts to curl, like cooked pasta.) Pull out the wallpaper and let it drip-dry for about 15 seconds. Put it on the table, folded gently over on itself, to rest for one minute—that gives the glue time to soften more. Be sure not to get everything too wet. Your wallpaper should be wet enough to activate the glue, but not soggy. Open the wallpaper, and place it glue side up and printed side down on the table. Place the box on top of it, right side down. Press on the box gently to remove any air bubbles. 5. Set aside to dry. Create a space for the project to dry by placing a layer of scrap cardboard on a flat surface. Put the wet wallpapered box on top, then another layer of cardboard or paper towels, and then the large heavy weights or books on top. Leave it overnight to dry flat. When the box is dry, trim away the extra wallpaper, making sure to cut between all the flaps. Carefully fold and re-glue the flaps with craft glue. Use clothespins or small weights inside the box to hold the box in place while the glue dries. Looking for more projects similar to this? Pick up a copy of The Spoonflower Handbook today! Order your copy through Spoonflower for $24.75 and we'll include a color guide and swatch book, two essential design tools, to help start your fabric design journey! 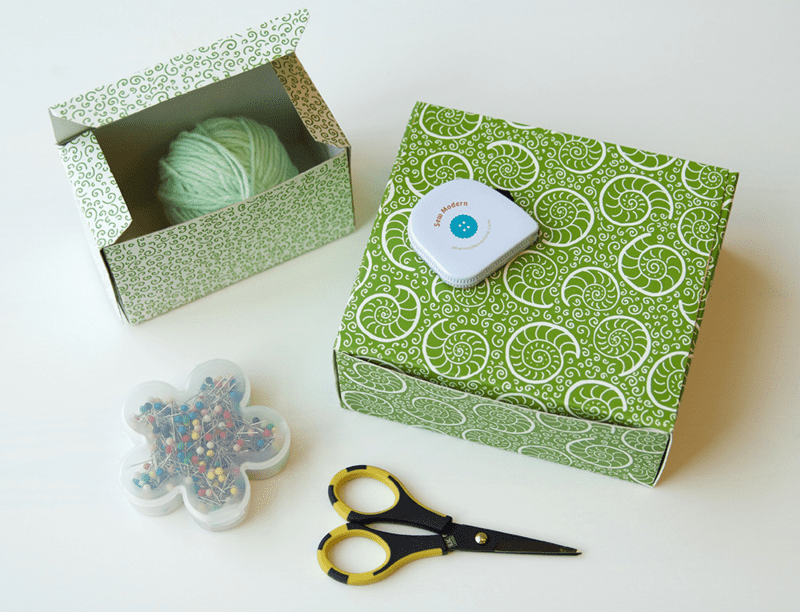 Ooh, thanks for featuring my design in your gift boxes! Ekk! Apologies for not crediting you initially. The post has been updated! aww, thank you! I had asked for my last name not to be used online when I first gave them the project idea, so I figured that that might make it awkward for them to credit me. I wasn’t worried about it. And as you can see below, Spoonflower is a good company and when they do make a mistake, they make right on it! Aww! I do forgive you! No worries. 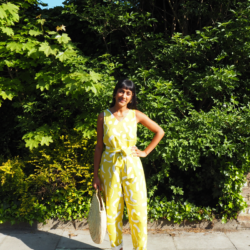 And thanks for updating the post and for your part in making Spoonflower awesome. Not just awesome in making it possible for us to design our own stuff and sell it, but also for admitting (and fixing!) mistakes. 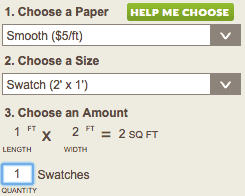 It’s one of the many reasons I love Spoonflower. Impressive DIY project. Your design looks absolutely fantastic!